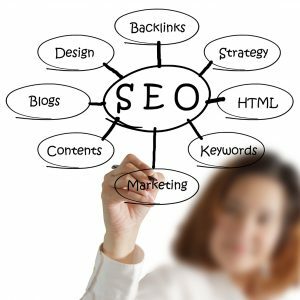 SEO is primarily content driven, and the goal is to use key words that have indexed high for your industry. Our professional writers will generate content that can be found by search engine web crawlers which can help drive people searching on the internet using keywords. There are additional best practices and tools that can be implemented on a web site using the CMS (Content Management System). CHI can provide other tools and services such as white papers, blogging, case studies which can be connected to your website that will help drive SEO. Our research from the marketing audit will uncover the keywords that should be used. We can manage and update over 70 of the largest internet ecosystem of maps, directories, apps and search engines on the internet. Sites including Apple, Bing, Google, Yahoo, Yelp and many more. They talk to each other during searches and affect SEO if information is not populated on these sites. Our team will manage these sites to ensure all information is correct, complete, pictures and content loaded, and map pins are correct. There are 50 location data fields from addresses, hours, categories, product lists, offers and many others. We will also sync your location data to place pages for all the social channels even if you don’t have them.